1.12.2017 Pressure on Senator Murray and Governor Inslee ramps up as campaign rolled out in the Peninsula Daily News. 1.10.2018 Ad expands to the The Olympian to bring attention to plight of Southern Resident Killer Whales and endangered wild salmon they depend upon. 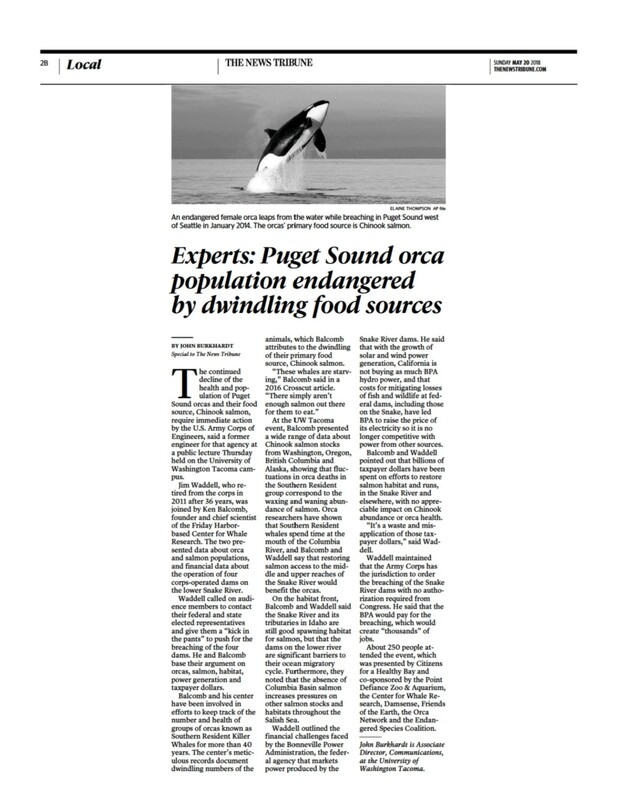 1.07.2018 Seattle Times Full-page Ad: Dammed to extinction, Southern Resident Orcas are starving. Time is running out! The message is a call-out to Senator Murray and Governor Inslee of Washington State asking them to support breaching the four Lower Snake River Dams. It will help the public understand why breaching is important, how it can be done and that the lack of political will is the only thing standing in the way. This is one of the top issues for our region and for our time. 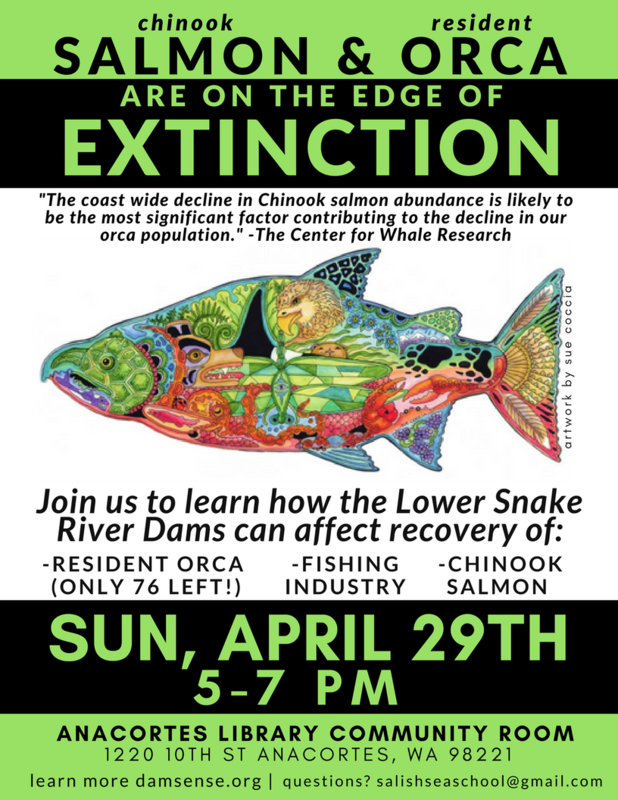 Without action, salmon and resident orca species are headed for near-term extinction.